The Traffic Movement and the Handling of Operational Plans during Annual Events Team at the Roads and Transport Authority (RTA) in Dubai is fully prepared for managing the traffic during the eve of the New Year 2016. 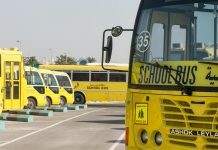 A comprehensive and strict plan has been put in place for managing the movement of vehicles and public buses, especially in the neighbourhood of Burj Khalifa. Maitha bin Udai, CEO of Traffic & Roads Agency and Head of the Traffic Movement and the Handling of Operational Plans during Annual Events Team, said: “The Team had taken every action needed to ease the flow of traffic within Burj Khalifa during the New Year’s celebrations. The plan includes the provision of extra parking slots, and more feeder buses shuttling around-the-clock until 1 am on Saturday 2nd Jan 2016. 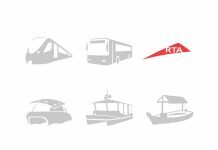 Accordingly, the Burj Khalifa Metro Station will be closed from 10pm on Thursday, December 31 2015, and the public will be directed to the Financial Center and the Business Bay stations where extra directional signage will be in place. The number of the metro riders during the festivities time on Thursday is expected to hover around 900 thousand riders, and on Friday, the metro ridership is expected to be in the order of 480,000 persons. 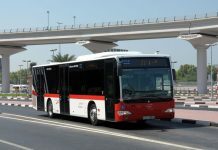 Dedicated lanes would be provided for buses and taxis, stated Bin Udai who called on motorists to avoid using the Financial Center Street and the Mohammed bin Rashid Boulevard after 08pm on Thursday December 31, adding that such streets will be reserved for traffic exiting the place and emergency cases only. 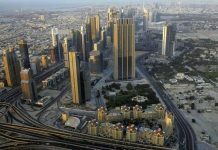 Al Asayel Street stretching from Oud Metha to Burj Khalifa would be closed, as it would be reserved for RTA buses offering free shuttles to the public from Al Wasl Parking yard to the pick-up & drop-off point at Al Abraj Street at Burj Khalifa. 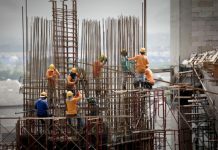 “There is a ready and approved plan for management traffic during the New Year’s Eve, and the Team would play a key role in creating ample room for vehicles to exit the place once the event is finished. 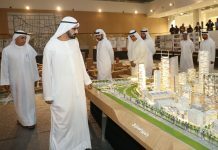 In this regard, coordination has been made in the light of new developments for benefiting from streets in the surroundings,” added Maitha. “This year the Team has provided 5000 additional parking slots to support the currently existing 17000 parking slots within the events area. These additional parking spaces include 1500 parking slots at the Trade Center, 2,000 parking slots at Al Wasl Club, 500 parking slots at Al Jafliya (Parking yard of Residency & Foreigners Affairs Department), and 1000 parking slots at Zabeel Park. 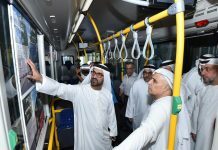 Thus more spaces are open for the public to park their vehicles and use public buses deployed on free service. 170 buses will be operating at site to take riders and rid them from traffic congestion. 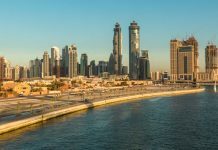 A point has been designated as crossing point for the public at the Sheikh Zayed Road near Burj Khalifa Metro Station; which will be under the control of the Dubai Police. 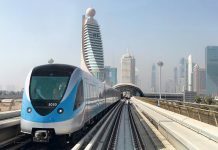 She called the public to use the metro and public transport rather than private vehicles, especially during the festivities hosted by Dubai such as the New Year’s eve.